Every year, victims in the United States suffer approximately 4.5 million dog bite injuries. In 2017, dog bites cost owners around $700 million in liability claims. Seattle is especially dangerous for dog bite incidents. It is a well-known dog-friendly city, with pet-friendly hotels, restaurants, parks, and coffee shops. If someone’s dog bites you in Seattle, you may be eligible for compensation for your medical bills and other damages. It is your responsibility to file a dog bite report after the attack. Click here to learn more about hiring a dog bite lawyer in Seattle. You will need to give authorities a variety of information about your dog bite incident during the filing process. Collect this information beforehand for an efficient filing procedure. At the scene of the dog bite accident, collect relevant information from the pet owner. Ask whether the dog has had all its shots. Document the owner’s name, the pet’s name, a description of the dog, the time and date of the accident, the location, and the dog owner’s contact information and address. Also get the names and contact information of any eyewitnesses who saw the attack. Take photographs of your injuries and of the dog and owner, if possible. The more details you record of the incident, the stronger your case will be. Before you file your report, deal with your bite wound. Go to a local Seattle hospital immediately after someone’s dog bites or attacks you. Your wounds need professional cleaning and bandaging to help prevent infection. Statistics show that one in five dog bite injuries become infected. You may also need to receive rabies shots if the dog did not have up-to-date vaccinations. Keep copies of all medical records, treatment plans, and bills. The point of the claims process is to obtain financial compensation for your damages. Damages can include physical pain, emotional suffering, psychological distress, lost wages, property damage, and medical expenses. If the dog attack was severe and caused catastrophic injuries, such as permanent disfigurement or the loss of a loved one’s life, you may also qualify for lost quality of life damages or funeral and burial expenses. Knowing your rights is the first step toward obtaining fair compensation. 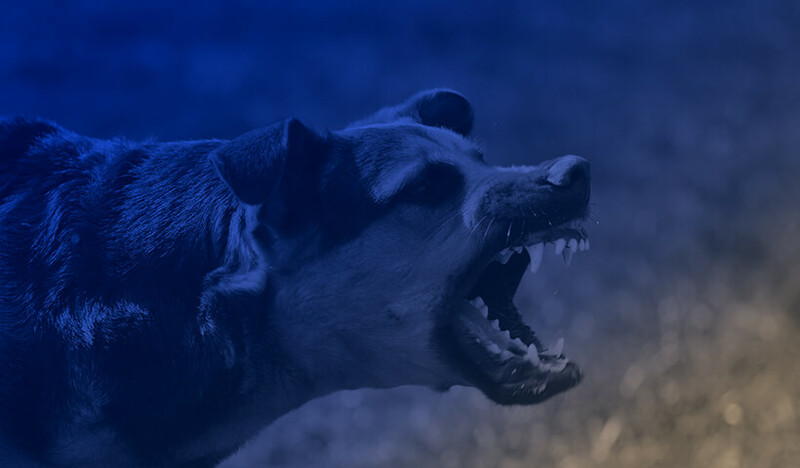 In Washington, the state’s dog bite law holds a dog owner liable for the damages a bite causes any person, while the person is lawfully on the property of the owner. It does not matter whether the dog owner knew or reasonably should have known of the pet’s viciousness. The owner will be liable for damages regardless of any negligence or lack thereof. A few exceptions to this rule exist, but in general, if you were lawfully on private property or in a public place and someone else’s dog bit you, the owner of the pet legally must pay your damages. You have three years from the date of the dog bite to file a personal injury claim against the owner. The claims process involves contacting the dog owner’s insurance company and filing an official report. Typically, homeowner’s insurance companies preside over dog bite cases. If the owner does not have homeowner’s insurance, he or she may have to pay your costs out of pocket. You may also want to report your incident to Seattle Animal Control for the record. File your claim by visiting the civil courthouse in the county in which the attack occurred. Follow the clerk’s instructions for bringing your lawsuit. You may have grounds to file a claim against other parties in addition to the owner, such as a landlord or property owner. Discuss your case with a Seattle dog bite attorney to learn more about your rights. Bringing claims against multiple parties can increase your odds of securing financial compensation. A lawyer can negotiate for maximum recovery on your behalf.